At the last, I buy her Biogreen healthy drinks, Pink Lady Oat milk, O’tigres Black Bean Milk and Pre-Balance Powder. Many people introduce this to us. It is healthy, fragrant, and good for skin too. 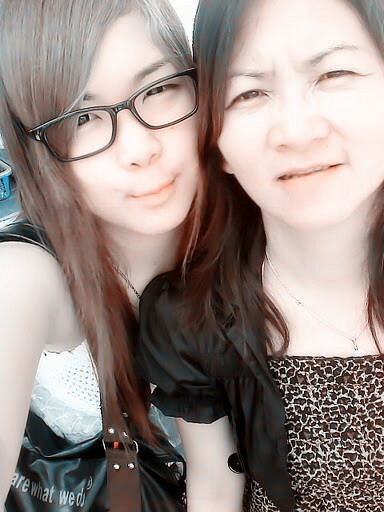 Once mother like it everything will be fine. Pass by Maxis shop, oh my gosh!! I see a girl taken IPhone 4GS White Series. Arrghh~~ Mummy took me ask the dealers seem whether have any stock more? Unfortunately, all sold out! Oh my god, is too hot already. Then I ask any reserve for booking Iphone 4GS, they say not. If want please come again tomorrow. =.=” He say to me maybe the stock will arrive, just maybe. So? I need come back again or? Confusing me! Having dinner at Kuala Selangor for seafood time. Crabs, Prawns, Bivalves, Oysters and many more in dish table. Eat so satisfaction. Yummy yummy~~ But when I back, Oh my god! (3rd time saying this verb already) I’m allergic. My lip like a big sausage and my body has dots red. Just trying to put much lotion for moisturizes my body and lip scrub for my lip. By the way, enjoying and moody (because of some cases) feeling today. Again to say, HAPPY MOTHER DAY TO ALL MUMMY IN THE WORLD.